The provision for online Applications of Unique Disability ID has been made by Central government’s Empowerment Department of persons. The new provision has been set by the department for registration for Unique Disability Identification Card. As per the updates, the government has announced to issue beneficiaries with disability certificates and UDID cards. As per the central government and empowerment department, the beneficiaries can get registered or check with the UDID or disability ID via e-disability facility on the official web portal at www.swavlambancard.gov.in. The government has also provided with provision for downloading the card online via web portal services. The central government has offered with this facility for people who are suffering from Unique disability or are viklang by birth or any other cause. So any person who belongs to the PWD (person with disability) section of the society can avail this benefit. It is advisable to check with the eligibility criteria before filling in applications. You can directly visit the link at http://www.swavlambancard.gov.in/cms/who-can-apply. The main key feature is that the web portal service will be available online for beneficiaries where they get the convenience of registration, tracking status or downloading the ID of UDID card. The new provision has been introduced by the Modi government with an aim to help create and maintain the database of such people who are suffering from unique disability conditions nationwide. Under this new system it is ensure that the deserving candidates will be able to take complete benefit and at the same time can expect transparency within the system. The beneficiaries can also expect to get full benefit of the various government schemes that are in their favor efficiently and easily without any hassles. Using the new web portal services and ID cards the beneficiaries will also be tracked for their financial and physical progress that will be conducted by the central government at the national, state, district, block and village level. To get started with the registration procedure the interested beneficiaries have the convenience to apply online for UDID card/ Disability Certificates. You can go through the guidelines at http://www.swavlambancard.gov.in/public/files/ProceduresGuidelines.pdf. To apply online you will first have to visit the official web portal at swavlambancard.gov.in. On the home page you will have to select the option “Apply for UDID Card and Disability certificate”. You can also directly visit the link at http://www.swavlambancard.gov.in/pwd/application. 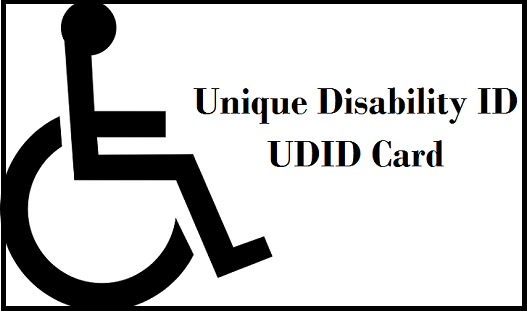 You will be displayed with the registration form for Unique disability ID and Disability certification where you have to provide with all information that are asked on the form including your personal information, contact details and address details. When filing in all information you will have to upload a recent photograph of yours along with your valid signature. Once done you have to select the “Next” option. On the same form you also have to provide with details related to identity details, employment information and disability type information accurately. Once all set of information has been updated you just have to submit the form for processing. Download form – You can also download the UDID form in pdf format offline by clicking the link at http://www.swavlambancard.gov.in/files/PWD-form-full.pdf. To download the UDID card candidates will have to update all set of information on the form and select download option in the PDF format. You can also directly visit the link at http://www.swavlambancard.gov.in/home/login. For gathering more information related to the objective and benefits of all other government scheme you can directly visit the links at http://www.swavlambancard.gov.in/cms/purpose and http://www.swavlambancard.gov.in/cms/card-benefits. In case you want to renewal your UDID card or even want to claim for your lost UDID card you can do it via online web portal services by following the below mentioned procedures. Lost UDID card Claim – if you have misplaced your UDID card then you can request for issuing the duplicate card online itself. The same provisions have been made for duplicate disability certificate. You just need to click the link at http://www.swavlambancard.gov.in/pwd/pwdlostcard. Renewal of UDID card – For getting the UDID card or disability certificate renewal you can do it online by directly visiting the link at http://www.swavlambancard.gov.in/pwd/pwdrenewalcard. Candidates also can use the web portal services to check with the status of the application or tracking the registration process via Atal Seva Kendra or e-mitra services. To complete the procedure you can now directly visit the link at http://www.swavlambancard.gov.in/pwd/pwdtrack. On the redirected web page you will have to provide with your Registration number, UDID number or Enrollment number. Once entered, you will have to select the “Go” option. The process for tracking will begin automatically. On approval of the application form, the candidates are also free to request for download copy in PDF format after logging in on the web portal. As per the central government the provision has been till date provided for 21 states nationwide for availing UDID cards. The central government has also received over 41,13,996 applications via online web portal. You can browse through the complete list of beneficiaries online at the official website. You can also check with the list of beneficiaries by directly visiting the link at http://www.swavlambancard.gov.in/pwd/udidCardStatus.